A few weeks ago I had the chance to try out a new brand and my first hair care treatment with KeraStraight! 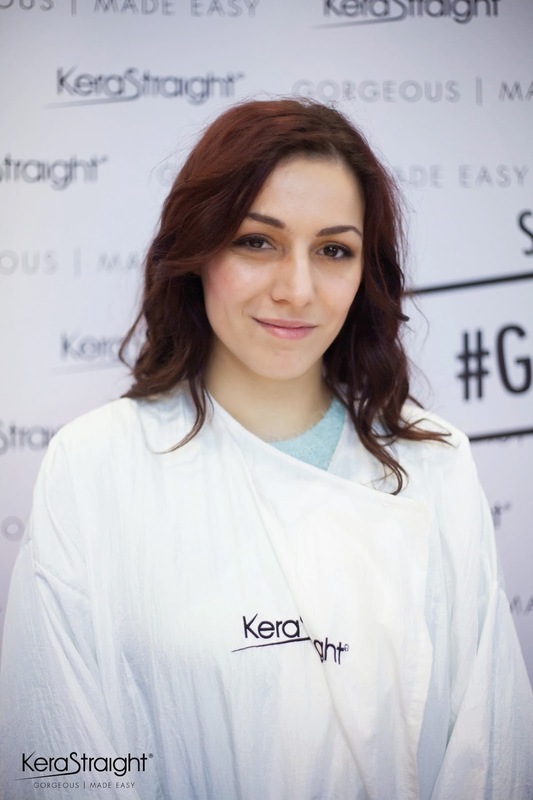 KeraStraight is a brand that focuses on ridding your daily haircare problems. 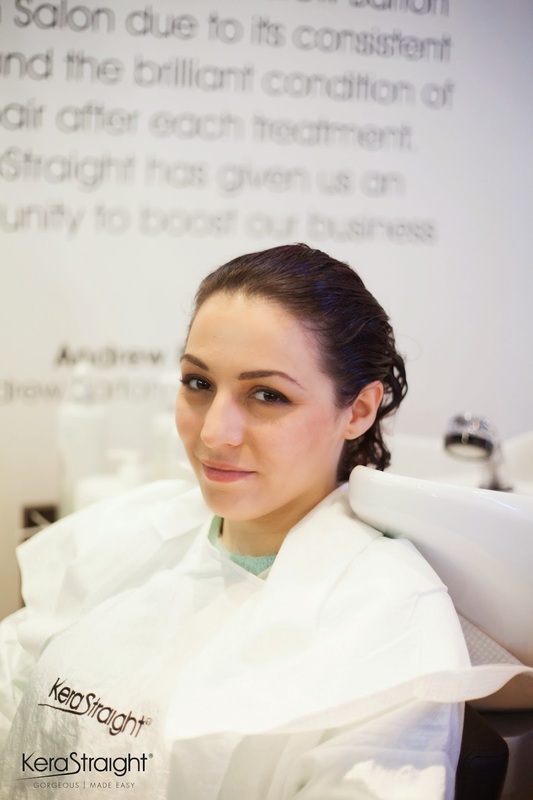 They offer two treatments, the KS Ultimate which is a treatment that lasts up to 4 months which is perfect for super duper curly hair - this treatment will help define your curls and also make it heaven to straighten! 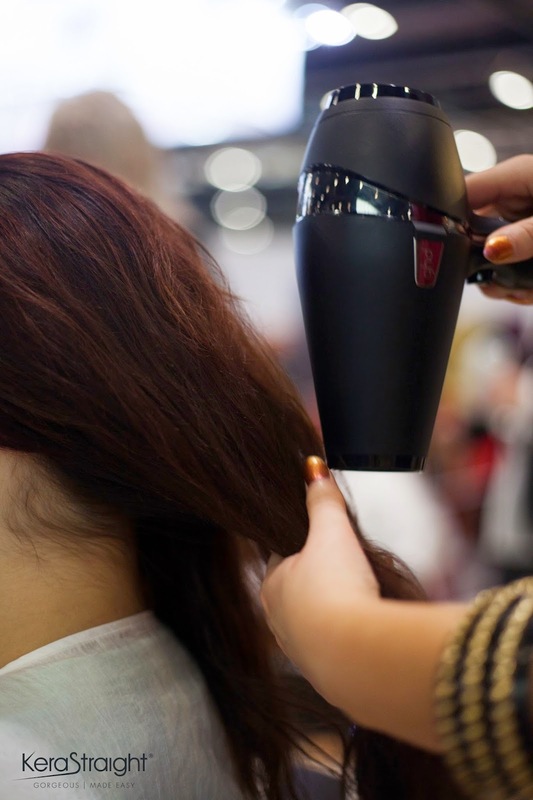 The second treatment is the Instense Boost which lasts up to 30 days and focuses on the condition of the hair repairing it as well as adding shine and a silky soft touch to the hair. I personally suffer from dry over-heated hair, that's also frizzy and hard to brush through when wet, and when KeraStraight told me about the Intense Boost Treatment, it sounded right for me! There are two Intense Boost treatments: one that focuses on putting protein back into hair, and one that focuses on putting moisture back into the hair, and of course I went for the moisture boost treatment. 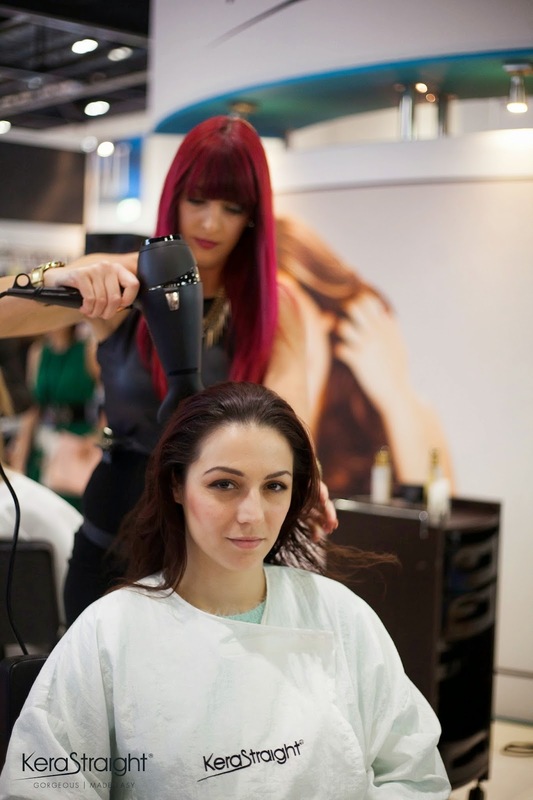 I had the lovely Kymberley treating my hair that day, and I don't think I realised what was going on until I got to Salon International - which I forgot to mention is a absolutely huge and buzzing convention for all things hair and beauty! The treatment was done on a stage as a live demo show and there was a lots of people watching as three of us at a time got our hair treated! I was buzzing from the atmosphere and feeling right in the centre of it all. The team at the KeraStraight stand that day were absolutely amazing in taking care of me and made me feel so comfortable - bearing in mind I had a huge hangover that I was masking! Back to the treatment! 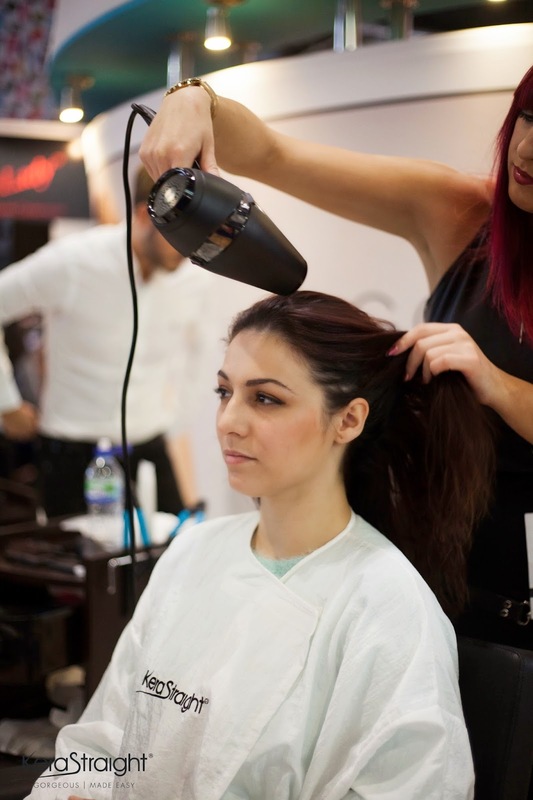 The treatment only takes about 30 minutes overall but with how busy all the stylists were it did take a little bit longer. First of all my hair was washed twice with a cleansing shampoo to open up the hair cuticles and then towel dried. I was then taken straight to the stage where Kymberley applied the Intense Boost Moisture Treatment and then brushed it in well. Before that, there was a little talk where the lovely woman (whose name I cannot remember!) asked people to touch my hair to feel the condition of the hair, and boy... people were honest! They said how it felt dry and straw-like and not nice to tough in general, but then the woman explained that this wouldn't be for long, and that just got me more excited than I already was for the end result. After the treatment was brushed in, it was dried in on a low heat until my hair was completely dry. She then rinsed it all out and took me back to the stage where she then styled my hair leaving me with super-soft bouncy hair! It was honestly as simple as that - and all that in about 45 minutes! You can see from my before and after the difference in my hair, but it's no comparison to how it feels. Two and a half weeks later and my hair is still really soft and silky and so so easy to manage. The results were so beyond what I expected! I'm seriously SO impressed, especially after almost three weeks after having the treatment done. KeraStraight were so nice that they even gave me an after care kit to keep my hair at it's best at home. I received the KeraStraight Straight Maintain Shampoo & Conditioner and then the KeraStraight Ultimate Oil, which I have to say feels amazing on the hair.